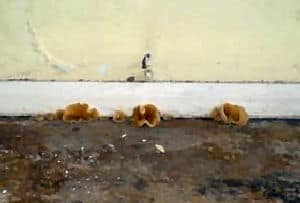 At Timberwise we are experts in the treatment of all forms of fungal decay from well know rots such as dry rot and wet rot to lesser know ones such as Plaster Fungi. Plaster fungi comes in various forms and tends to be found in damp habitats such as brickwork or plaster.They are very similar in appearance to wood rotting fungi and produce large fruiting bodies and mycelium growth. This is a small, light brown or flesh coloured fungi. It has cup shaped fruiting bodies with no stalks present. When fresh they are flexible but harden over time and become brittle. 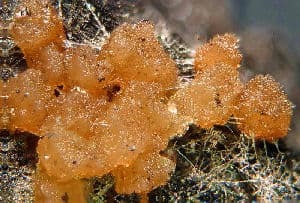 With it’s bright orange jelly like fruiting bodies Pyronema domesticum is easily identifiable. 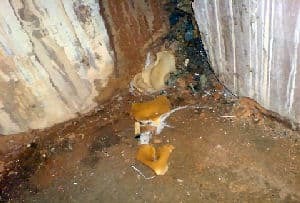 The mycelium produced is very similar to that of Serpula lacrymans – Dry Rot. Timberwise are experts in the eradication of plaster fungi. If you find plaster fungi in your property don’t panic! Simply call Timberwise on 0800 288 8660 or click here to request a survey.